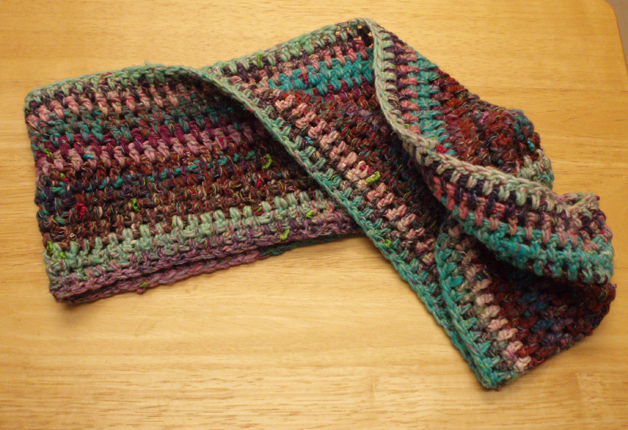 A lightweight scarf made with a luxury hand painted yarn from Japan in shades of teal, purple, pink and white. A thick and thin component yarn gives the scarf a great texture with brightly hued slubs of silk peeking out occasionally. A great warm weather scarf. The scarf, itself, is handcrafted in the USA. 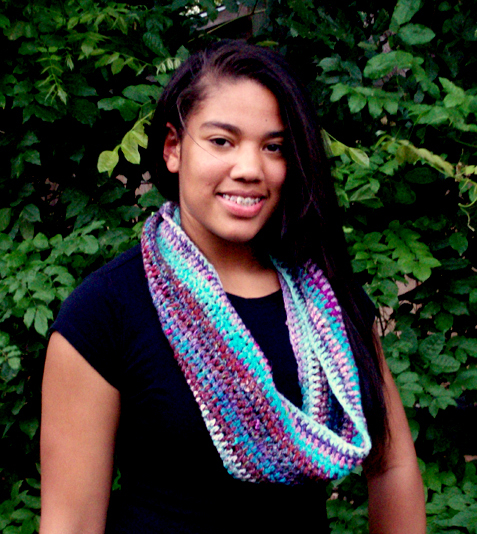 This mobius scarf is a circular seamless scarf with a single twist. A 38" circumference slips easily over the head with no risk of accidentally losing a scarf that slips off.